Located on Level 77 of the iconic Q1 resort building, SkyPoint Observation Deck offers unrivalled views of the Gold Coast, revealing the lay of the land. SkyPoint is Australias only beachside observation deck and is an incredible introduction to the Gold Coast destination with information about the entire spectrum of experiences on offer including hidden hinterland walks, the best surf breaks and the regions most action packed attractions such as Dreamworld and WhiteWater World. Travel from ground to level 77 in less than 43 seconds in one of the worlds fastest elevators, before stepping out onto the 360 degree platform where you will capture your first views of the beaches, hinterland and Gold Coast skyline from 230 metres above sea level. Relax with family and friends while enjoying something light to eat from SkyPoints sumptuous menu. High Tea is also available and comes served on a three tiered display plate inspired by the tall contemporary design of the Q1 building. By night, the Observation Deck transforms into a chic, high altitude lounge bar with a hot line-up of live entertainment every Friday and Saturday night from 8pm to late. Then on Sunday from 4pm, chill out to Sunset Sounds, an acoustic set featuring talented local musicians. 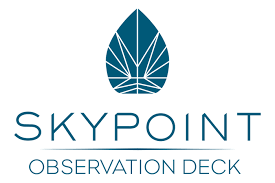 SkyPoint Observation Deck is open every day, except Christmas day from 9am to 9pm Sunday to Thursday and 9am to midnight every Friday and Saturday night. Last tickets are sold 45 minutes prior to the closure of the deck and 18+ identification is required for access after 8pm.